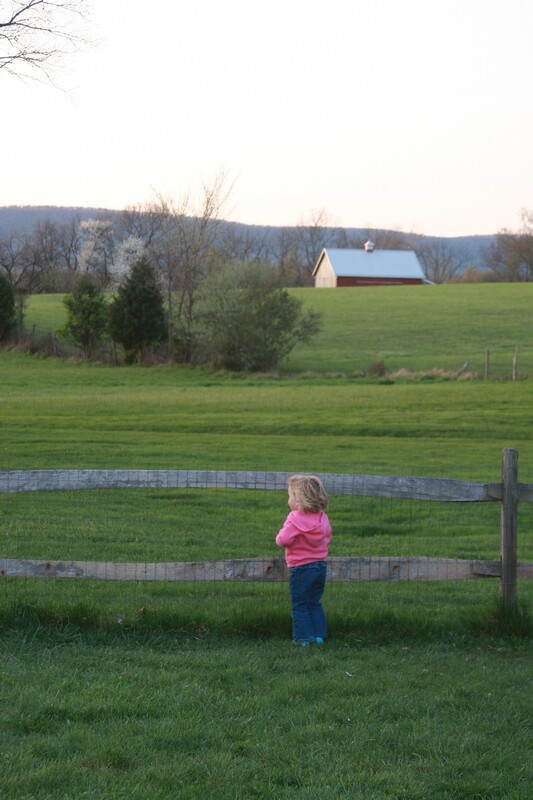 Today we had visitors to our little part of the earth. Our friend and my husbands second cousin came over with her two kids. 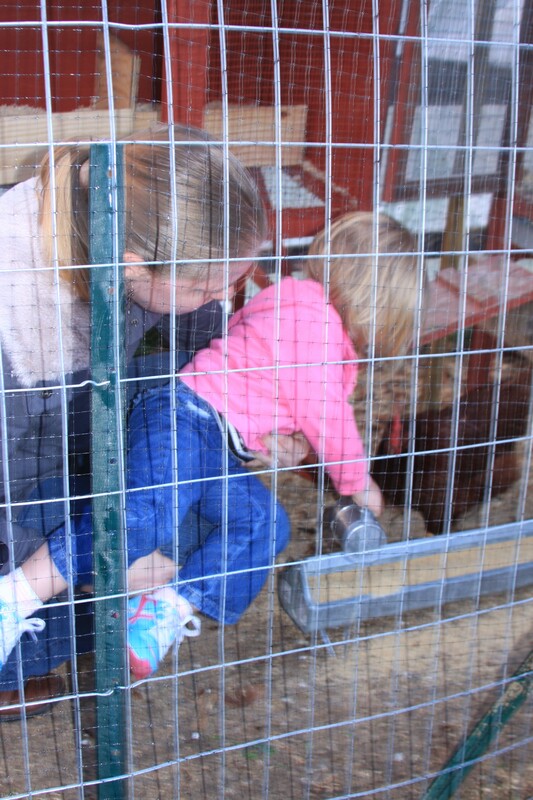 Her daughter loves our dogs and chickens and was so excited to see them. 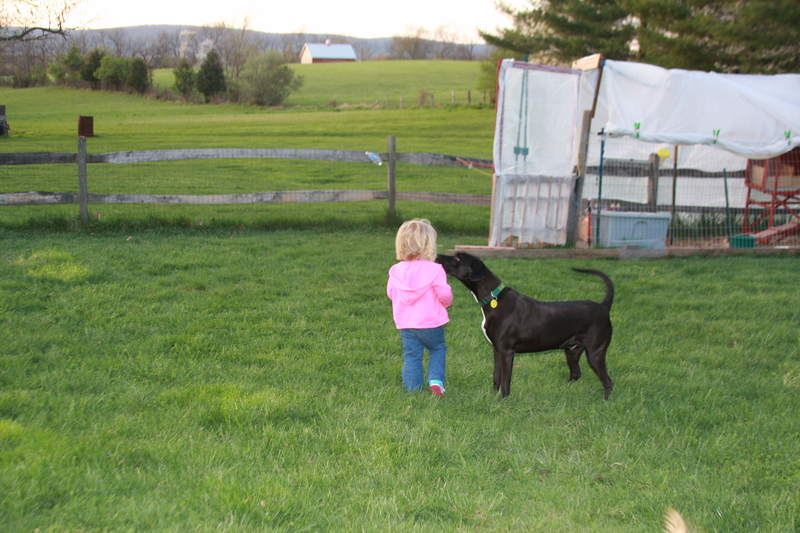 She also wanted to play in the yard and was curious about the noises from the back field. 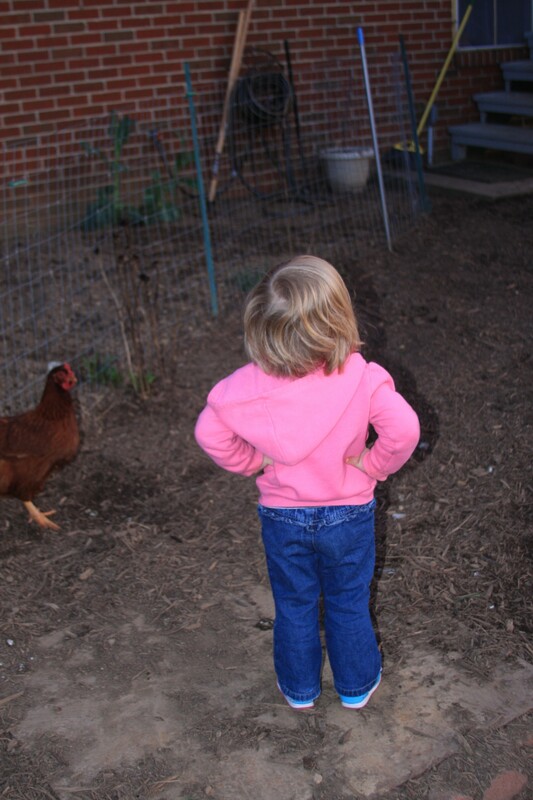 She was telling the dogs not to bother the chickens. 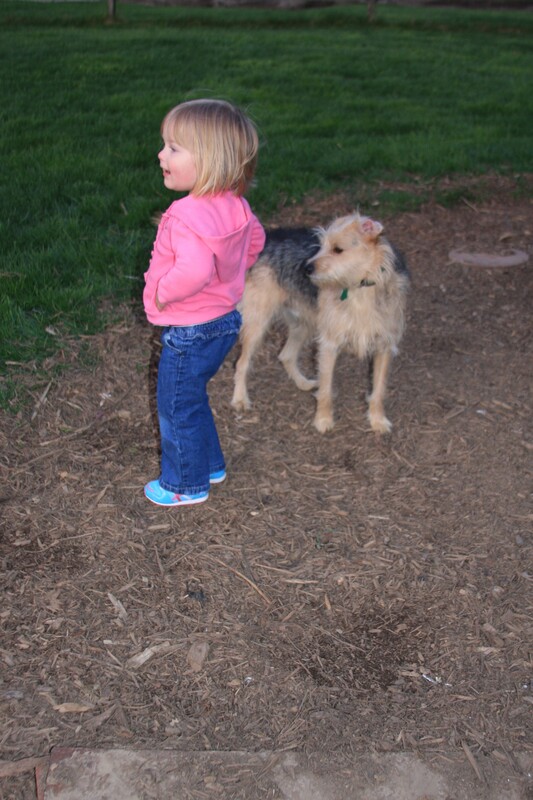 Chase won't let her far from his sight. What a fun time she must have had! 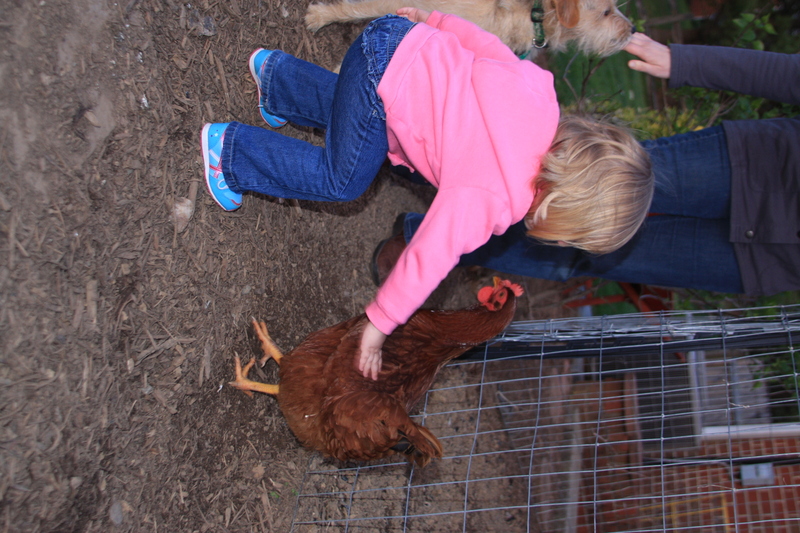 It’s great for small children to get a taste of farm life and learn about animals.